The Pampas Fox (Lycalopex gymnocercus) is middle-sized fox that can be found in the pampas, or plains, of South America. It is also called Azara's Zorro, after the Spanish naturalist Felix de Azara, who described the fox in the late 1700s/early 1800s. Pampas Foxes are similar to the Culpeo in appearance, but they are smaller and have a wider snout. They also have more red in the fur around their head and neck. They can grow up to 31 inches (80 cm) in body length, and weigh up to 17 pounds (8 Kg). There is little sexual dimorphism present between male and female Pampas Foxes, but on average males are about 10% heavier than females. Pampas Foxes are mostly solitary, mostly nocturnal animals, although are flexible in both regards. They come together to form monogamous mating pairs during during the mating season, and will stay together until the pups are about three months old. Female Pampas Foxes will give birth to a litter of one to eight kits after a gestation period that can last as long as 60 days. 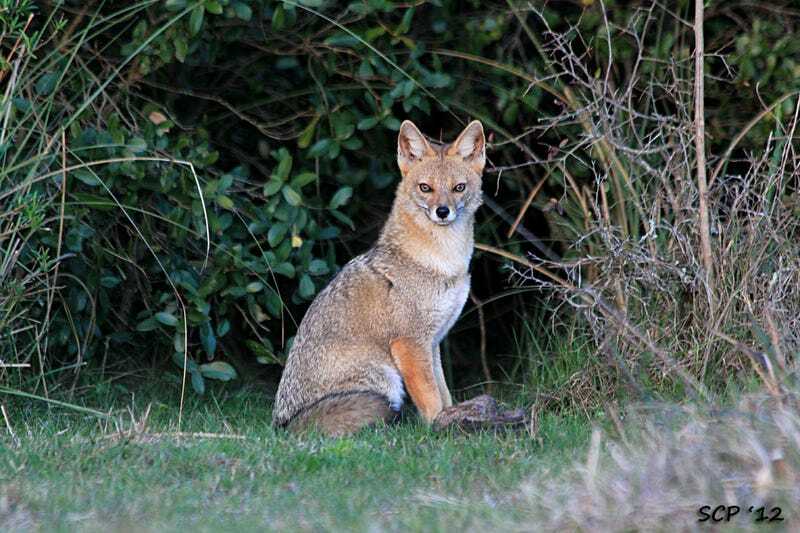 Pampas Foxes are omnivorous, opportunistic eaters. They will hunt small prey like hares, rodents, and birds, but they will also scavenge carrion, forage for fruit, eat insects, reptiles, snails and armadillos. Pampas Foxes are persecuted because they are seen to a threat to livestock, and they are also hunted for their fur. However, at present they are common in all of the areas in which they have been studied, so are not currently considered to be under threat.